BALTIMORE (CNS) — Though the Catholic Church has responded to racism for many years, some leaders and church institutions have at times been part of the problem, said a bishop who is heading a committee against racism. 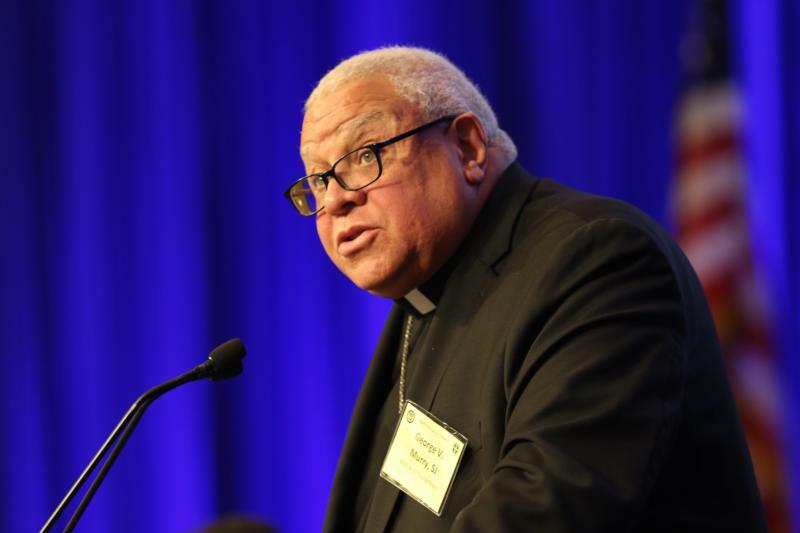 Bishop Murry, who became the head of the bishops’ Ad Hoc Committee Against Racism earlier this year, said the church must recognize “and frankly acknowledge” its failings. Though African-Americans have suffered intensely from “the sin of racism,” racism also has ravaged lives and livelihoods and many people of other races, he said. Its targets seem to be growing. “Racial hatred that is often in hiding, for some, was on full display for many,” Bishop Murry said of the events in Charlottesville. Bishop Gerald F. Kicanas, whose retirement as head of the Diocese of Tucson, Arizona, was recently accepted by Pope Francis, suggested that the bishops take “symbolic actions,” much in the way other church members have taken at events such as masses on both sides of the southern border. “Racism isn’t going to be conquered by speech but by actions,” said Archbishop Wilton D. Gregory of Atlanta. Bishop Murry said committee’s efforts also will focus on evangelization geared toward healing and reconciliation, toward conversion of those who harbor racist beliefs and who commit racist actions as well as caring for the victims of racism. “All of this is aimed at one goal: to change hearts, which will lead to a change in behavior because every human being is created in the image and likeness of God,” he said.